Sankuanz hits up Puma to create a rather more practical approach to their Spring-Summer’ 19 collection, and designer, Shangguan Zhe has got a lot up his sleeves. Founded in 2013, the emerging fashion house focuses on the influences and clashes between technological innovations and social institutions. Sankuanz deconstructs the reality through fashion and portrays a hypothesis of a high tech near future and has been making an impact on an international level for its unique take on uniform dressing. Pairing parts of contemporary art with vintage sportswear and clean silhouettes, Shangguan reinterprets streetwear with a rebellious voice. Going with the theme ‘Kill the Wall,’ his designs are symbolically charged, conjuring up images which encapsulates many different subcultures. A different mix of new and traditional patterns, the collection features unconventional prints and bright logo typefaces to create a bold and neutral collection. The highlight of the collection however, focuses on the capsule of footwear and apparel highlights custom editions of the Cali, Cell Endura, RS-X and the Thunder silhouettes. The original retro-running silhouette from the 90s, the Cell Endura receive a Sankuanz remodel, with the addition of a rubber Sankuanz x Puma tag at the top eyelet. Original leather lace remains the same, with the cell replaced with neon green, whereas the insole is painted in retro purple. The look finishes with a glowing Sankuanz branding contrasting with a black bubble unit. The RS-X Sankuanz presents a modern iteration from the other two classics. 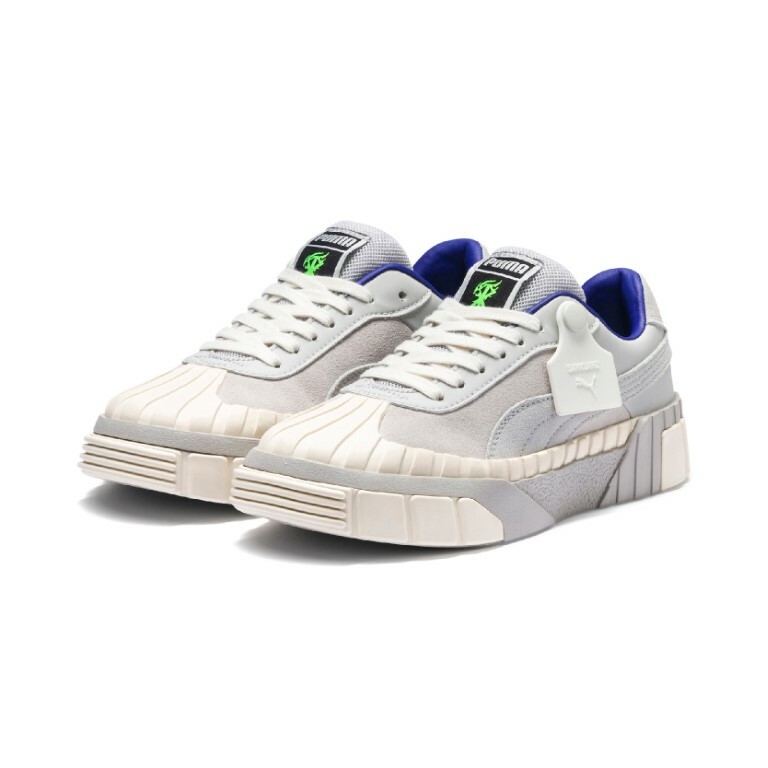 With contrasting, blocky neon and reflective overlays, it’s fitted with a sculpted layered sole featuring PUMA’s comfortable Running System cushioning technology. As for The Cali model, it is built with a smooth suede and leather upper, contrast leather lining and a thick rubber toe bumper. The reworked Puma Cali adds the Sankuanz logo, replacing PUMA’s logo on the tongue tag. Completing the pair with a grey sole unit extended and enlarged to create a dad shoe silhouette. These three pairs are retailed at RM675.00 for the RS-X, RM705.00 for the Cell Endura and RM630.00 for the Cali. The full collection is available now in PUMA KLCC, Sunway Pyramid and Crossover Sunway Pyramid.